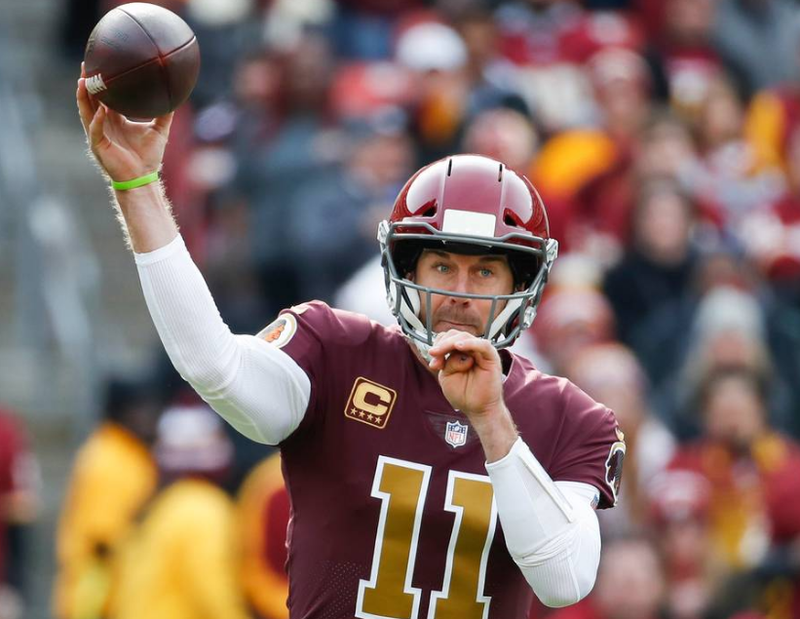 An American football quarterback for the Washington Redskins of the National Football League (NFL) is named as Alex Smith. He was named the Mountain West Conference Player of the Year in 2004 and led Utah to a victory at the 2005 Fiesta Bowl, finishing in the national top-five. He plays by wearing shirt number of 11 in the Quarterback position. Smith was traded to the Redskins in the 2017 season and subsequently signed a four-year contract with them. Smith suffered a fractured leg in a game that season, which was reported to be potentially career-threatening. He is a very talented player. Concerns grow about Alex Smith’s recovery as he deals with an infection following ‘serious’ leg injury. 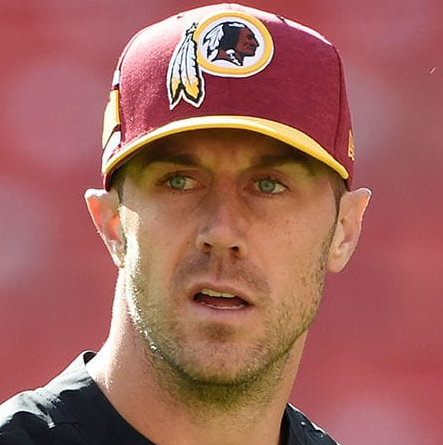 Three weeks after Alex Smith suffered a devastating leg injury during the Redskins' loss to the Texans, the quarterback is dealing with an infection that has kept him in the hospital and raised concerns about his long-term recovery. The Redskins issued a statement Thursday describing the injury as “serious” and asking that “everyone please honor the Smith family’s request for privacy at this time,” while providing no specifics on Smith’s situation. There was a feeling of concern in the team’s locker room Thursday as teammates wished the best for Smith. A large group of players took a team bus to visit Smith in the hospital Tuesday. There were too many of them to fit in Smith’s hospital room, so the quarterback was brought to see his teammates in a larger area. “We all just assured him, ‘Hey, we’re praying for you, man,’ and wished him the best for him,” running back Adrian Peterson said. “That’s all we can do. ‘Hey, you’re not in the building, but we’re still thinking about you”. Smith is battling an infection following surgery to repair the broken tibia and fibula in his right leg, according to two people with knowledge of the situation who spoke on the condition of anonymity to discuss a sensitive health issue. One said the injury could “possibly” be career-threatening for Smith. Alex Smith was born on 7th May 1984 with the birth name of Alexander Douglas Smith. As of 2018, he is 34 years old. He was born to Douglas D. Smith and Pam Smith, his parents in Bremerton, Washington. His father was an executive director at Helix High School, which Alex attended. Regarding his siblings, he has a brother named Josh and two sisters named Abbey and MacKenzie. His nationality is American. His ethnicity is not known. His Zodiac sign is Taurus. Regarding his education, he attended Helix Charter High School. Later, he attended the University of Utah. He earned a bachelor’s degree in economics in two years. Smith has got a muscular body and strong body. He has a tall height of 1.93 m. He has a balanced weight of 98 kg. He has a healthy body. His hair color is dark brown and eye color is blue. With his charming smile, he attracts a lot of people towards him. His other body measurement will be updated soon. Smith started his career from his high school. As a starter for the Helix Scotties during his junior and senior years, he led his team to a record of 25-1, including two San Diego CIF section championships. He finished fourth in voting for the 2004 Heisman Trophy and was selected as the 2004 Mountain West Conference Player of the Year when he was in college. He led the Utes to victories in the 2003 Liberty Bowl and the 2005 Fiesta Bowl. Later, he was selected by San Francisco 49ers and he agreed to a six-year, $49.5 million contracts with the 49ers in July 2005. He played in nine games in his rookie season, recording just one touchdown pass, against the Houston Texans, while throwing 11 interceptions during 2006. In the 2007 season, he improved in his second year and threw for 16 TDs, 16 interceptions, 2,890 yards. He led the 49ers to a 20-17 win in a two-minute comeback. The 49ers announced that his contract had been successfully restructured and that he would stay with the team in his 2008 season. On February 27, 2013, the 49ers agreed to trade Smith to the Kansas City Chiefs for the Chiefs’ second-round pick in the 2013 NFL Draft and a conditional pick in the 2014 NFL Draft. He and the Kansas City Chiefs agreed to a four-year contract extension on 31st August 2014. Recently, he finished with 368 passing yards and four touchdowns as the Chiefs pulled off a 42-27 victory over the defending Super Bowl champion New England Patriots during the Thursday Night Football on 8th September 2017 season. The Kansas City Chiefs agreed to trade Smith to the Washington Redskins in exchange for cornerback Kendall Fuller and a third-round pick (78th overall) in the 2018 NFL Draft on 30th January 2018. He subsequently signed a four-year, $94 million contract extension with them. He had 255 passing yards and two touchdowns in a win against the Arizona Cardinals in his season debut. He suffered a compound and spiral fracture to his tibia and fibula in his right leg when he was sacked by Kareem Jackson and J. J. Watt against 18th November 2018. It was later revealed that Smith's leg became infected due to post-surgery complications, with him having multiple procedures to remove infected tissue. Alex Smith is a married man. He married former Oakland Raiders cheerleader, Elizabeth Barry, in the year 2009. The couple is blessed with two children named Hudson in May 2011 and Hayes in the year 2013. The marriage is going strong as there is no news regarding any extramarital affairs between the pair. The couple is living a happy life together. The net worth of this famous footballer is estimated to have $60 Million as of 2018 and hope to be $70 Million as of 2019. He is making an impressive net worth from his career. His major source of income is from his football career. His salary is estimated to have $10 Million as of 2018. His father was an executive director at Helix High School, which Alex attended.